There are two major things that had to be overcome in writing this spotlight on Massimo and Lella Vingnelli: One was how to approach the subjects in a different way as they’ve had so much written about them. Two, as with writing about other designers who are still living, one runs the risk of being told by them that the article is wrong or even worse, moronic. Admittedly, I’m more concerned about the first as the second is nothing new to my writing career. As with my other spotlights on designers who greatly influenced or keep on influencing our industry, I’m interested in WHY they took the path that set them apart from other designers and HOW they can change the way designers think and create. It’s about inspiration. Their example is not one of purposeful self-important and self-initiated public relations – I refuse to write about those who practice such conceit to make up for lack of talent. It was pure talent and creativity that brought Vignelli Design into the public eye. Free from what vitiates, weakens, or pollutes. Containing nothing that does not properly belong. Being nonobjective and to be appraised on formal and technical qualities only. The Vignellis’ office in New York City. Simple, clean and… pure. 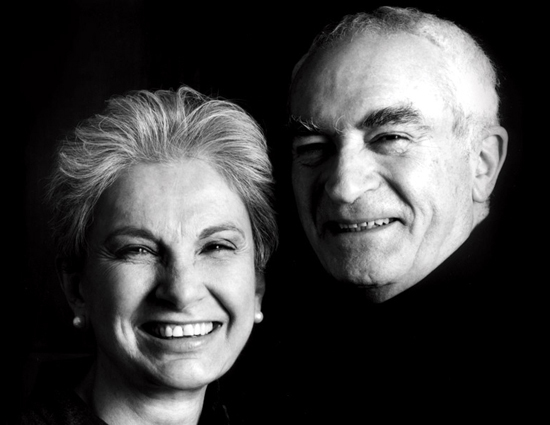 Massimo Vignelli and his wife Lella, both designers, ran a successful design firm in Milan, Italy before coming to New York City in 1966 to start the New York branch of a new company, Unimark International. This quickly became one of the largest design firms in the world. When commuting back and forth became too much, they decided to make New York their home. In 1971, they founded Vignelli Associates. It’s important to look at America at the time they arrived to make their mark on the design scene. The Vietnam War was in full swing and America was changing. It was the hippies vs. the conservative establishment, acid rock vs. bubblegum rock, and society was evolving. 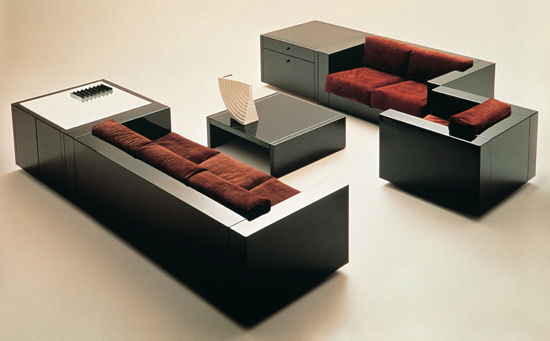 The Vignellis’ European sensibilities were to offer design America had not really experienced. Obviously it was successful and became a driving force in design that others would follow. Growing up in New York wasn’t easy. The subway map alone was a diagram of the human circulatory system, and as confusing to an adult as it was to me as a child. Foreign tourists and diehard New Yorkers alike all had to brave the death-inviting move of asking someone if they were on the correct train to their destination. 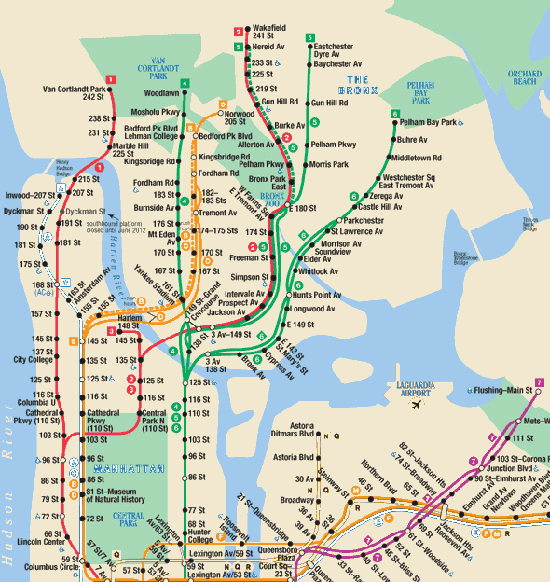 It’s alleged that New Yorkers didn’t take to the design because it didn’t give an accurate representation of the distances the trains had to travel, borough to borough. 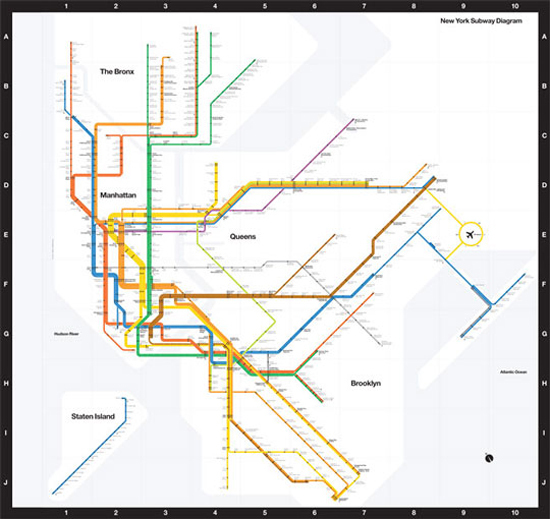 The present map has returned to that pre-Vignelli jumble of veins and arteries; and despite the supposed dislike to Vignelli’s cleaner interpretation of the whole mess, other designers keep trying to reintroduce the same effective graphic that Vignelli had designed. Nothing is better then letting time vindicate your actions and beliefs! 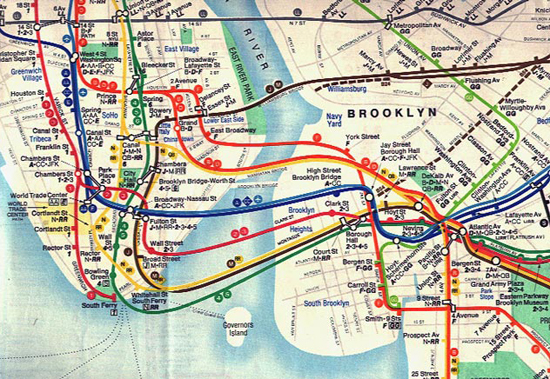 A section of the 1979 subway map that replaced the Vignelli design, returning to the jumble of which Vignelli sought to make sense and order. Once again, people entered subway stations and were never seen again! Note how it includes surface streets, parks and sections of the continental shelf. The 2011 map, returning to the idea that simple and clear is better. It stuck to the desire for realistic distances but got rid of the extraneous information that had nothing to do with the subway. He is, however, still passionate about his design. “A diagram is a diagram. Don’t cheat me,” he is quoted as saying during an AIGA/NY event in 2010. Nothing burns the soul of a designer more than seeing a great design thrown away by non-creatives and those without the ability to understand how design affects people and products. In fact, if you look at the metro maps around the world, you’ll note that they all take inspiration from Vignelli’s design. I can only hope he smiles widely and thumbs his nose at his detractors. Have you flown anywhere lately? When you step aboard American Airlines, you are surrounded by Vignelli’s work. 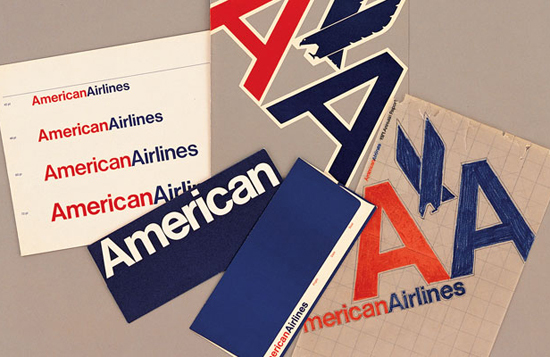 The 1967 redesign of the AA identity was pure Vignelli – simple, strong, functional and pleasing to the eye. Do you eat? Could be you are using plates, glasses or mugs designed by Vignelli? The key to the design is usability. 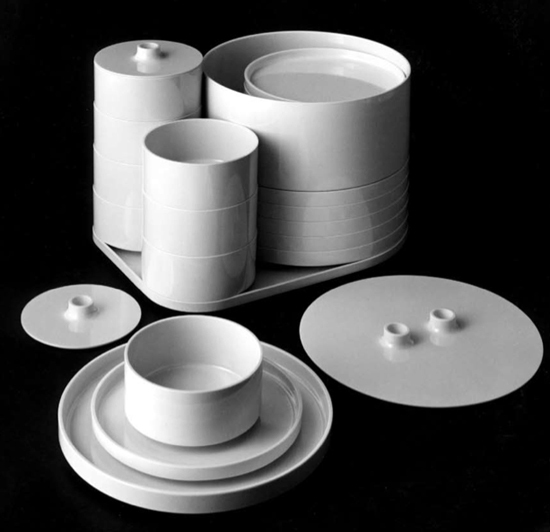 Plates, bowls, mugs and platters stack as opposed to the usual piling on as with most dish sets. It’s designed for function as well as form. I don’t care how big your kitchen may be – these plates, bowls and platters are great design and real space savers! 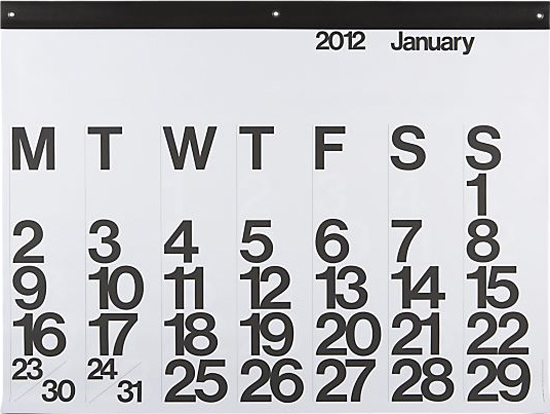 The calendar designed by Vignelli has been around for longer than I can remember. 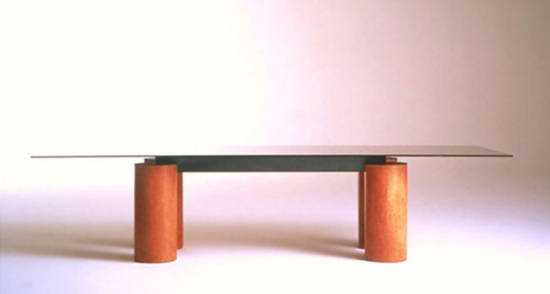 Crave any furniture designs lately? If not, you obviously haven’t seen any from the Vignellis. Anyone who appreciates great design will admire and almost certainly crave pieces either created by Vignelli or at least inspired by the duo. 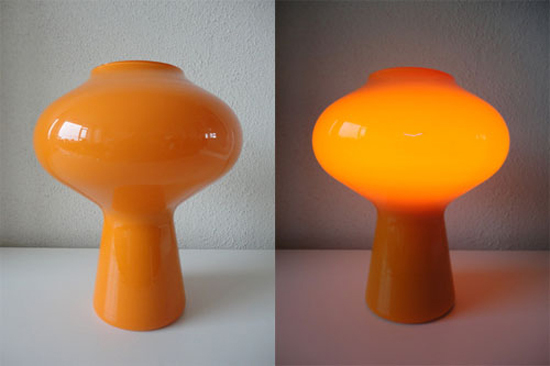 Designed by Vignelli in the 1950s, this lamp is timeless. Function and form. 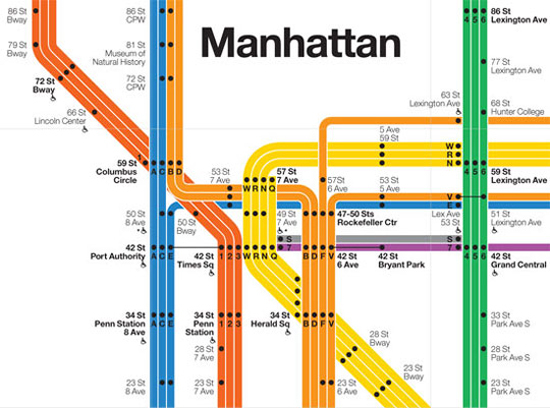 Naturally, like so many who have been in design for a time, Vignelli has an affinity for print. In a web culture, print, according to some, is a lost art and disappearing from our lives. Vignelli, among others, point to the permanence of print (as the couple’s personal library, pictured below, attests). Obviously, Massimo and Lella Vignelli look at all design challenges with the same dedication, and approach problem solving in the same logical way. 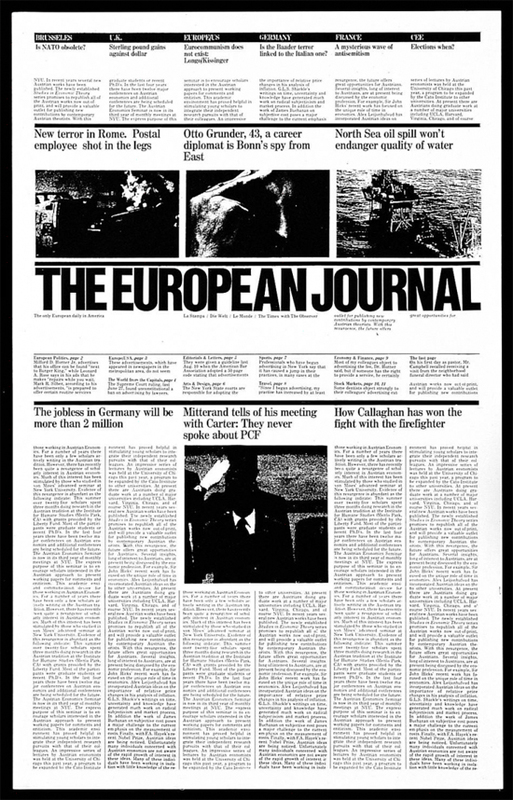 A proposed redesign for The European Journal in 1978. Note how modern WordPress themes are similar in layout. Like other designers who have practiced for decades, Massimo and Lella Vignelli offer lessons to all of us that we may not see right away. Let down your guard and preconceived notions on what is important in design and consider what the Vignellis have to teach us. The “WOW! Factor” we depend upon with computer programs and apps are no substitute for design basics. The basics are the foundation of all design. This is a lesson in overcoming fear. Imagine moving to a new city, in a new country. What raw nerve that takes. I have several friends who moved from the U.S. to different countries in Europe and they were terrified. Excited but terrified. The Vignellis accepted a challenge and met it head on with purpose, bravery and ended with great success. Should any simple design challenge frighten you? Not if you follow the design basics and build from there. 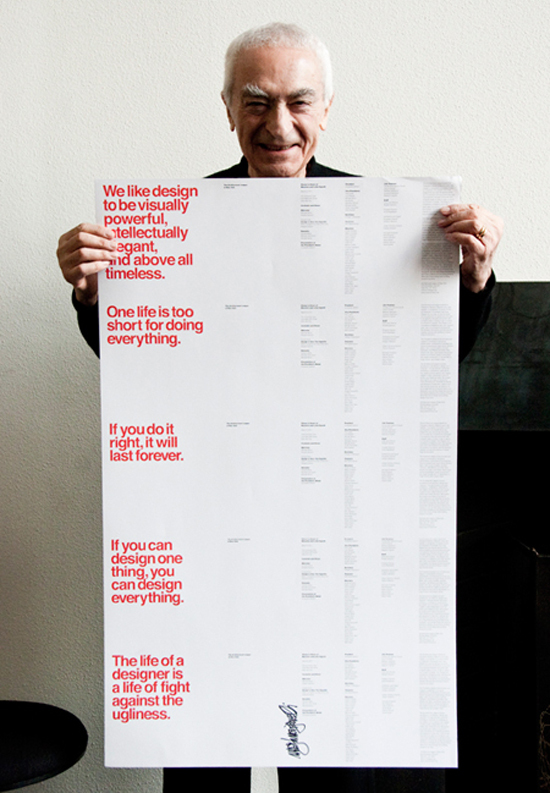 Massimo Vignelli with an uncut sheet of brochures, “Five Vignelli-isms” when he and Lella received The Architectural League President’s Medal “in recognition of a body of work so influential in its breadth that it has shaped the very way we see the world.” Note the advice in the Vignelli-isms! How does one hope for the same power when starting out? The answer is you can’t, but you can try to seek out clients where you CAN work directly with the company owner as much as possible. You may be stuck with someone who says, “I’ll know what I like when I see it” but you may also find yourself working with someone who will trust your design ideas and give you free reign. Mr. Vignelli, as all of the interviews with him seem to attest, worships purity in design (there’s that word again). His focus is purposeful and without distraction of the thoughts too many designers have of how their design will be viewed by others. He knows his design is the best he can do and it leaves no doubts or regrets. Sure with his career experience and decades of practice, he has nothing to doubt, but there’s a lesson for every designer no matter what level you’re at – focus on the design and not what peers will think. Please the client and yourself and in the end, your design will have the purity that will make it last. To reiterate a quote of mine that people tweeted all over the place, “people don’t remember the name of the designer – they remember the design and how it affected their life.” THAT is the purpose of design! Massimo and Lella Vignelli have done that and have been recognized through a real and deserved placement in design history. It is worth considering how they got there and what you can learn from their example. Really like to hear about designers that have changed or at least impacted our life. This is not just creating website or poster that will be forgotten within few weeks or few years, this is about the design that will stick for ages and still won’t feel outdated. Brilliant! This is such a great article and was an awakening read. I would love to see Noupe blog more about titans like the Vignelli’s that have had lifelong and meaningful contributions to the design community. His quote “We have to make a distinction between design and art. If you are an artist, you can do anything you want. It’s perfectly all right. Design serves a different purpose. If in the process of solving a problem you create a problem, obviously, you did not design.” absolutely blew my mind with numbing honesty. Study more about the greats, find out how they broke the mold, read more, facebook less.